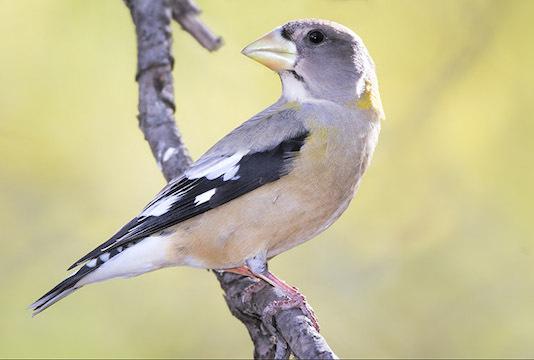 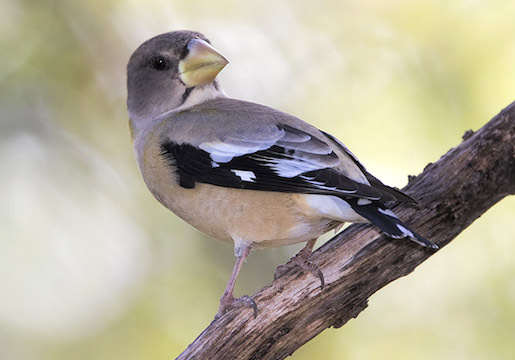 Evening grosbeaks, unlike their relatives such as rose-breasted, black-headed, and blue grosbeaks, the evening grosbeak has more subtle, 'smoky' colors. 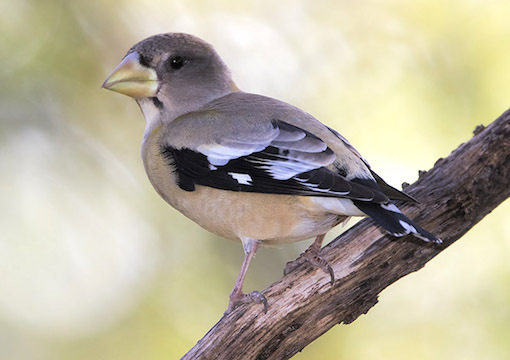 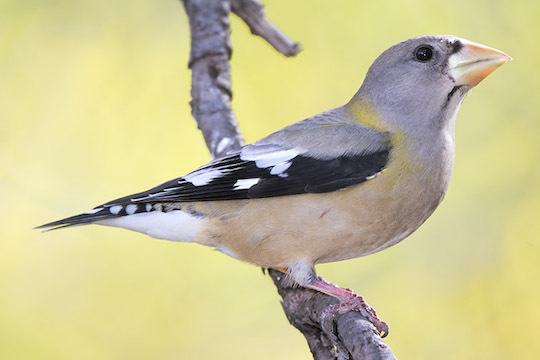 Males have blackish heads shading to yellowish on the sides and belly; females -- like this one -- are gray-brown with a tinge of yellow and striking black wings. 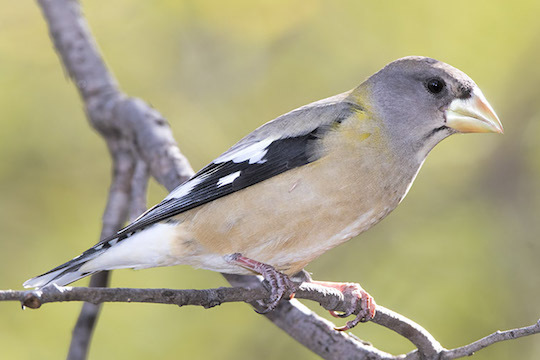 This female was photographed in Madera Canyon in southeaster Arizona.